Lose yourself in the creative process with 35 meditative makes. 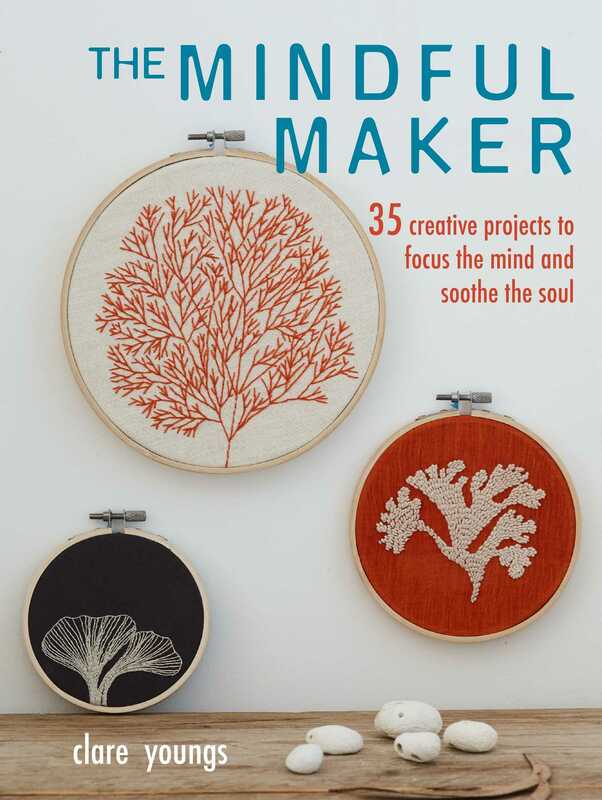 In today’s busy world, it can be difficult to find time to slow down and make time for the simple joy of making, so Clare Youngs has designed a wide range of beautiful and tempting projects to help you experience the pleasure and satisfaction that making something with your own hands can bring. The best thing about practicing mindfulness through craft is that you have something tangible to show at the end, and you can start small with the coral reef-inspired embroidery hoops, or just by making pompoms and tassels to be added to the edge of a pillow or blanket. You can learn techniques such as block printing, punch needling, shibori dyeing, weaving, macramé, and quilting, all of which encourage a mindful approach, and a way to experience a feeling of “flow”. Make unique things for yourself and your home, using natural materials such as wool, cotton, linen, and leather. Clare is a believer in making new things from old, using what you have, and adapting old fabrics to counteract a throwaway society, and all her designs have a Scandinavian-inspired, modern esthetic. Clare Youngs studied graphic design and has worked in packaging design, illustration, and book jacket design. Her other books include Folded Book Art, A Year in Crafts, Colour Yourself to Happiness, Book Art, Mobile Art, Wall Art, Make Your Own Woodland Creatures, Letter Art, and Folk Art Needlecraft (all published by CICO Books). She is based in Kent, UK.